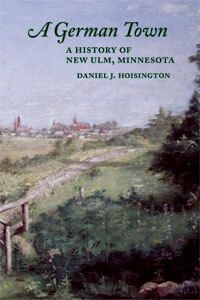 New Ulm holds a unique place in American history. Founded by German settlers, many were members of the only colony organized by Turners in the United States. Even today, the Turnhalle plays an active role in the community. In 1862, its embattled citizens defended their homes during the Dakota Conflict, suffering the destruction of nearly three-quarters of the town. This book marks the first time since 1916 that a book tells the complete story of the community’s heritage — from its founding in 1854 up to the dedication of the Glockenspiel in 1979. The text is richly illustrated with photographs.